Joel can assist you with your next project to help you refine and better convey your nutrition messages. To work with him, as a nutrition consultant, ambassador or spokesperson for your company, please send us a message, and let’s begin the discussion. TNG delivers insight-led and credible nutrition communications as well as marketing advice to help achieve increased engagement and impact for your business. TNG is available to provide expert media commentary on a range of nutrition topics e.g. Men’s Health, nutrition trends, gut health and much more. He is also a Dietitians Association of Australia Media Spokesperson. TNG regularly writes for magazines, blogs and news publications on a variety of nutrition-related topics. All requests for written and speaking engagements can be sent to us directly. TNG’s mantra is that any recipe can be made healthier by changing ingredients or by using alternative cooking methods. He has worked with a number of brands to create healthy recipes using their products. Want TNG to be the face of your campaign or brand? He can be your media spokesperson and can create social media content, recipes, and blog and video posts. If you would like TNG to be your dietitian, please contact us. TNG has a large and engaged audience. Members of TNG’s community cares about their health and are interested in nutritious and convenient products as well as recipes to help them reach their health goals. TNG loves to feature novel and healthy products that resonate with his audience across his social media pages. Please contact Joel for all collaborations. TNG can run workshops as well as educational & interactive nutrition presentations for workplaces, schools, community groups, sporting clubs and gyms. If you would like a presentation by TNG, please email Joel. TNG can provide an entertaining, interactive and educational cooking demonstration that will delight the senses. TNG can adapt a variety of cooking classes to meet your needs. Examples of topics include: breakfast on the run, summer smoothies, healthy BBQs, terrific tofu, and healthy cooking on a shoestring. 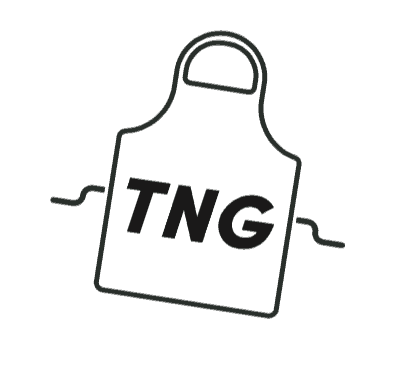 TNG can tailor-make a cooking demonstration to suit your products / target group. TNG will provide a detailed review of your products or menus. For all enquiries please provide nutrition information along with your request to us.